If you’re a fan of director Guillermo del Toro, you’re going to want to hit Collider everyday this week. I recently sat down with the gifted filmmaker for an epic hour-long video interview and every day this week I’ll be posting part of it. Over the course of sixty minutes we talked about his past projects, Pacific Rim, what he has coming up, and everything in between. If you missed part one, we discussed his amazing Comic-Con presentation, what it was like working for Legendary Pictures and collaborating with Thomas Tull on Pacific Rim, what changed during production, the physical nature of the shoot, and so much more. In today’s installment, del Toro reveals why they didn’t shoot Pacific Rim in 3D and why they won’t post convert, the reason they used the RED EPIC camera and had 15 of them on set, how the logistical problems in the film were all about scale, and why he edits all of his films as he shoots and that his first cut is a little over two hours. In addition, del Toro reveals that the Pacific Rim Blu-ray will have 30 minutes of deleted scenes and talks about why he cut them out of the film. He also describes some of the scenes. Finally, he says they will be deleted scenes and not part of some extended cut. Hit the jump to watch and check back tomorrow night for part three. Talks about how they built huge practical sets rather than relying on CG. Says that even the biggest stages in North America could only hold the feet of the robots because they are so massive in sale. Says the robot is the size of twenty football stadiums. Explains what they had to do for a walk and talk scene. It sounds amazing. 3:00 – Talks about how they used the RED EPIC on Pacific Rim and why. Also talks about how there was a lot of discussion to make the movie 3D but he didn’t want to do 3D due to the scale and size of the creatures and robots. 4:25 – A lot of filmmakers are using digital cameras with old lenses. Del Toro talks about how director of photography Guillermo Navarro had a set of ultra prime lenses that he insisted they use. He also says they had 15 cameras on set. Mentions that they had 5 cameras filming the cockpit scene and 3 or 4 cameras in the action scenes. 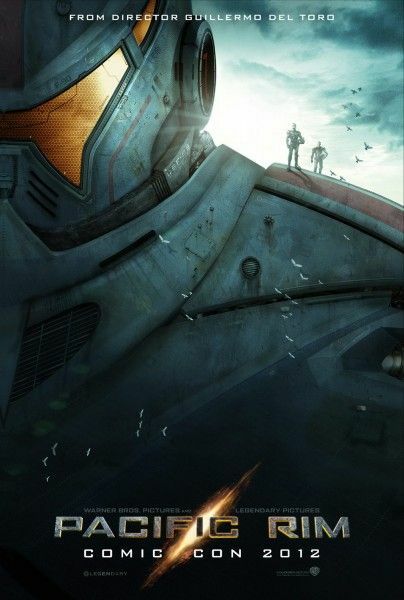 5:30 – Explains that while he loves film and he’ll go back to using film, for Pacific Rim digital was perfect. 5:45 – Talks about how he edits everything that he shoots on the day. Explains that he started doing this on Mimic and why. 7:55 – Says he already has his first cut done for Pacific Rim. Right now it’s a little over two hours and that’s where he thinks it’ll end up as a final running time. 8:20 – Reveals he already has a number of deleted scenes on Pacific Rim. Goes on to explain why Pan’s Labyrinth doesn’t have a lot of deleted scenes but talks about one of them. 11:25 – Will he do an extended cut or are they true deleted scenes? Says no extended cut.